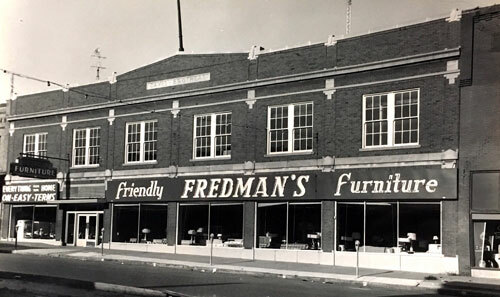 Part of a rich tradition in the furniture industry, the Fredman Furniture Company was founded in Marion , Illinois in 1938. The Second location in Herrin opened in the 1940's and the West Frankfort store was added to the family in 1956 under the name of Bryan Furniture. As business conditions changed in southern Illinois the Marion store closed and the Herrin store moved to its current location, 213 Park Avenue and is now owned and operated by Larry Fredman.